Seal All Pavement understands the importance of having a clean and aesthetically pleasing outdoor living area. You only get one chance at a first impression, make yours count! Intricate driveways, walkways and patios are posh additions to any home and it is key to retain Interlock sealing for protecting investments and avoid unnecessary deterioration. We provide top quality workmanship coupled with a high standard of customer service. 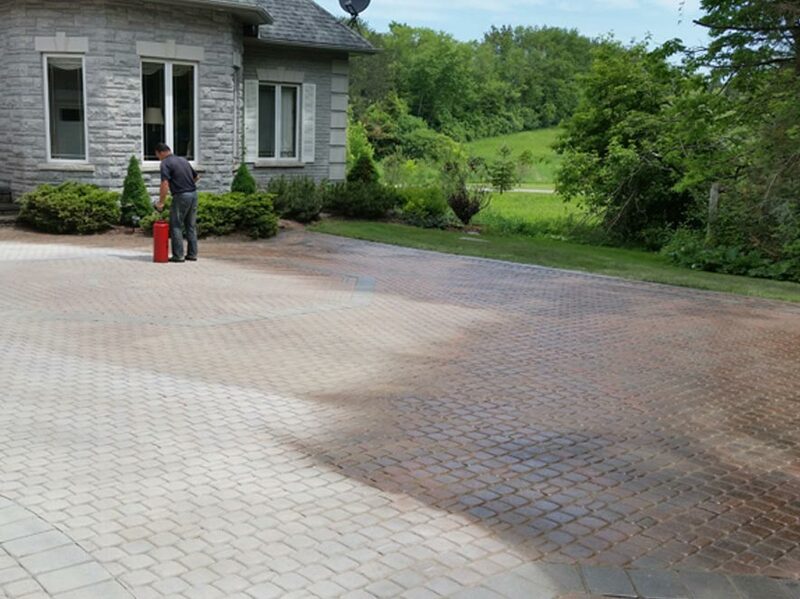 As with any home improvement, it is important to choose a contractor who specializes in what you are looking to have done; we are the trusted and go to company for the cleaning and sealing of interlock, pattern concrete, and natural stone driveways, walkways, patios, and retaining walls. Although there are a number of companies who offers these services, the repercussions of a bad job can be extremely expensive to fix or even irreversible. Be confident in your choice; for unsolicited customer feedback as well as flip through photos of a few of our previous jobs. It is important to note that prior to sealing it is imperative to ensure your stone surface is clean, free of all dirt, debris, and vegetation, to help ensure the protective coating applied is able to fulfill its intended purpose.